AROUND 18 months ago, Glenn Dickson's life changed almost instantly when a fishing trip with mates went horribly wrong. 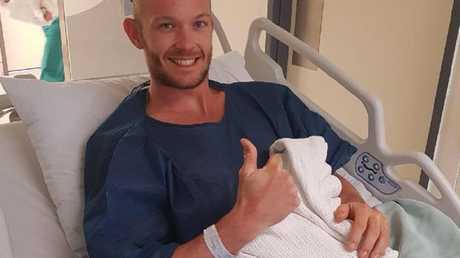 The 26-year-old former boilermaker from Mission Beach in Queensland was attacked by a shark, and ended up losing his leg in the incident. 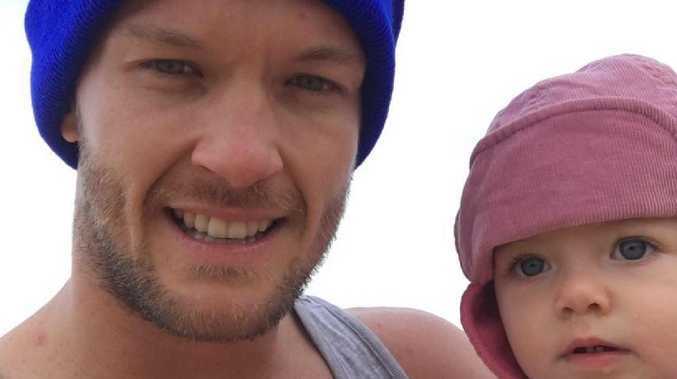 When it became clear the father-of-three wouldn't be able to return to his former career, the Sunsuper member assumed he'd be eligible for Total Permanent Disability (TPD) insurance, which is usually a lump sum payout awarded to a client who has been permanently disabled and is unable to work again. But he soon learned the company had recently switched to a "drip feed" policy, meaning eligible clients now receive six instalments across six years instead of one large payment. According to Mr Dickson, the policy change meant he "couldn't afford a wheelchair", a decent prosthesis or other medical bills, let alone modify his home to make it disability-friendly. 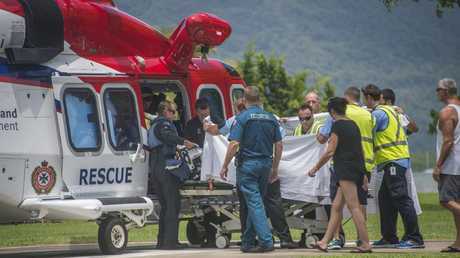 Luckily, Mr Dickson's mates who were with him when the attack occurred rallied around him and managed to raise much-needed funds. But he told news.com.au the situation was "unfair" to him as well as other clients in similar circumstances. Mr Dickson, who was featured on 60 Minutes last year following a similar fight to access Centrelink disability payments, said he had also been pushed to "get into work ASAP" and to regularly provide medical evidence he was unfit for work. "I'm missing a leg, what other medical evidence do you have to give? The humanity goes out of it," he said. "You don't ever think something like this can happen - I was young, fit and working hard making decent dollars and paying a company I thought would look after me. "But it turns out it's not that straightforward. It's an unfair situation not just for me but for everyone else who can't get what they deserve." Mr Dickson said Sunsuper claims it advised clients of the policy change via a letter, but he argued it was "not good enough". 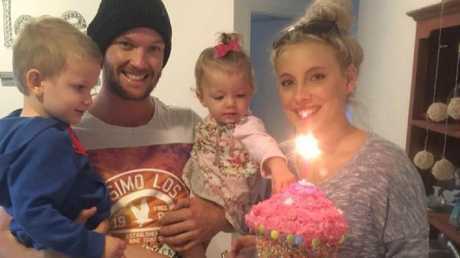 "I was a normal taxpaying citizen paying into my super and I expected if something like this did happen that I'd be looked after," he said. Now, he says he feels like "just another number". "I had a near-death experience and my life is never going to be the same," he said. "I would rather have been putting the money in my own pocket where it could have gone towards my family, that's the sad part about it." Mr Dickson is being represented by Shine Lawyers' employment law expert Will Barsby, who accused Sunsuper of "price gouging" by forcing clients who are eligible for the payout in six annual instalments to keep their accounts open the whole time, incurring fees. He claimed those fees could result in a "slush fund" worth "millions", and urged Sunsuper members to check their paperwork and decide whether a "drip feed policy" would suit their needs. "I think this is a prime example of a super fund not necessarily acting in the best interests of its members," Mr Barsby said. "In my view this policy isn't in the best interest of Sunsuper members and closer scrutiny of it is needed." However, in a statement provided by Sunsuper, the company defended its TPD Assist insurance product and said "hundreds" of members claimed they actually wanted help to get "job-ready". "It is a unique product that offers members a cost-effective default level of insurance to cover them if they become ill or injured, while at the same time ensuring excessive insurance premiums don't erode the balances of members' retirement savings," the statement read. "It is a product that has been designed to focus on early intervention, occupational rehabilitation and, where possible, helping members return to work." sessions, as well as a Level 1 Strength and Coaching course and functional upgrading sessions with an exercise physiotherapist. The company also said claims members need to keep their account open with Sunsuper in order to keep getting their TPD Assist payments were "completely untrue". But Mr Barsby said while it was technically correct clients could close their accounts, they could be forced back to work at any point during the six-year payment if they are deemed fit, which means they would no longer have insurance cover. 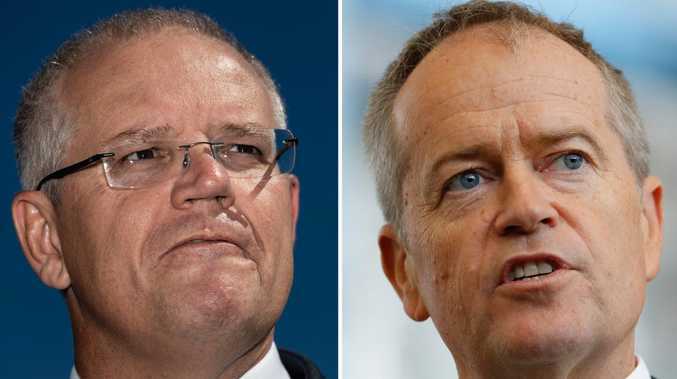 "It's a catch 22 because at any time in the six years you can have your claim denied and you can be forced back into work; if you have closed your super account you will have no ongoing insurance protection, so keeping your account open is the only option," he said.